Earlier this week, star chefs shared their favorite Thanksgiving sides. One of our top choices: warm skillet corn bread. It's a classic comfort food that doubles as the perfect Thanksgiving side dish. 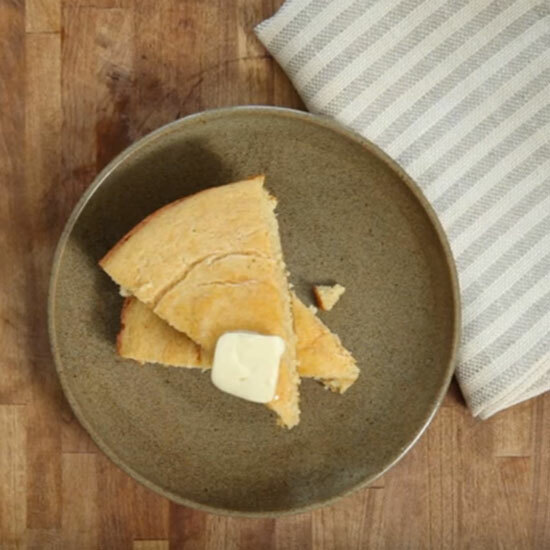 In this clip, our sister brand Southern Living shares how to make easy, superdelicious skillet corn bread that has perfectly dark golden, crispy crust. As good as fresh-from-the-oven cornbread is, it's even better with butter. Here are five amazing butters to serve with warm skillet corn bread. Pure chile powder gives this luscious butter fantastic heat. Butter, dark brown sugar and unsulphured molasses are all you need for this rich butter. Star chef Paul Berglund's simple butter is delicious with pretty much everything. Plus, it stores beautifully, so you can double the recipe to have extra on hand in the fridge. This whipped butter is terrific on corn bread or other Thanksgiving dishes, like roasted sweet potatoes and winter squash. Finely grated orange zest gives this maple butter delicious citrus flavor.